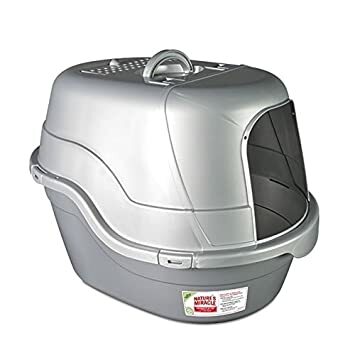 Below are top entry litter box from both Amazon and eBay. 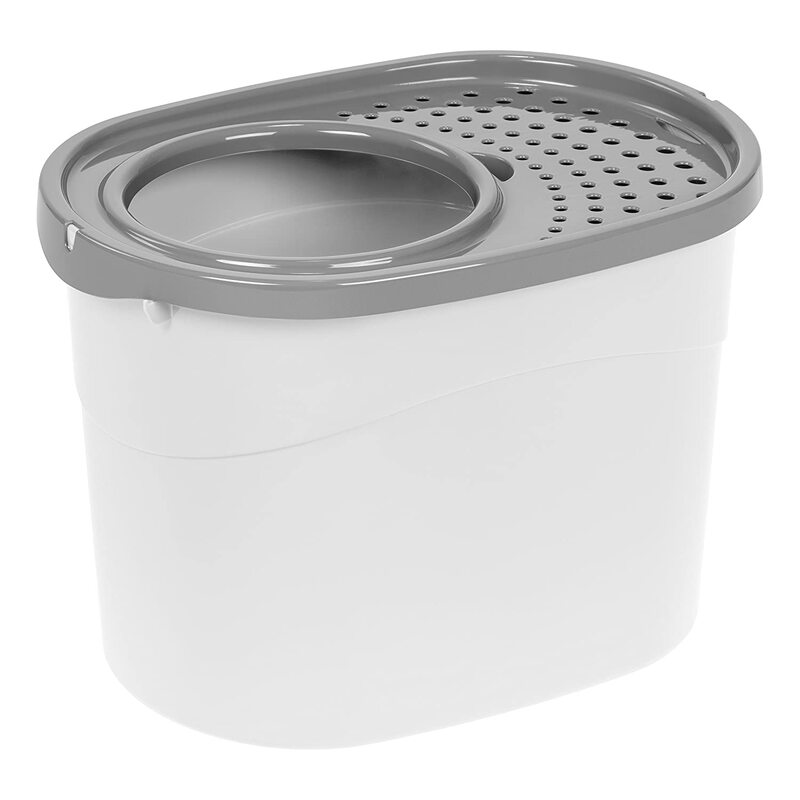 They are ordered by price from the least expensive to the most. Please keep in mind that the prices shown do not include shipping, which may or may not be extra. 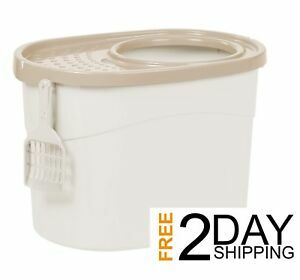 IRIS Top Entry Cat Litter Box, Black/Light Gray, IRIS USA, Inc.
IRIS Top Entry Funny Cat Litter Box with Scoop, Free Shipping, IRIS USA, Inc.
IRIS Top Entry Cat Litter Box, Dark Gray/Light Gray, IRIS USA, Inc.
Less – Or No – Litter Thrown Out Of The Box: A top entry litter box is typically less messy, since kitties that love to kick, scratch, and scatter their litter can’t throw it out of a top-entry box: They’re so tall the litter stays inside. Kitty can toss litter to their heart’s content and still not be able to scatter it all over the floor. 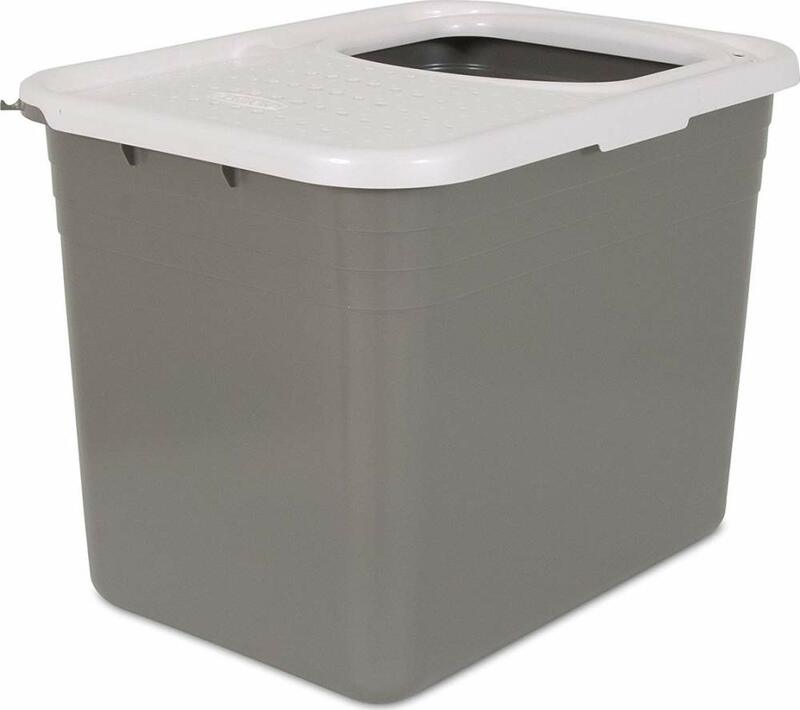 Less Tracking: Many (but not all) top entry litter boxes have lids with perforations in them. 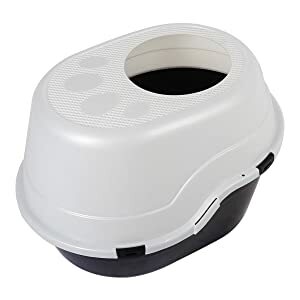 This is so that when your cat hops up and out of the box their first step is on the perforated lid, allowing any litter clinging to their feet to fall right back down into the litter box. That is a definite win for keeping litter off your floor. 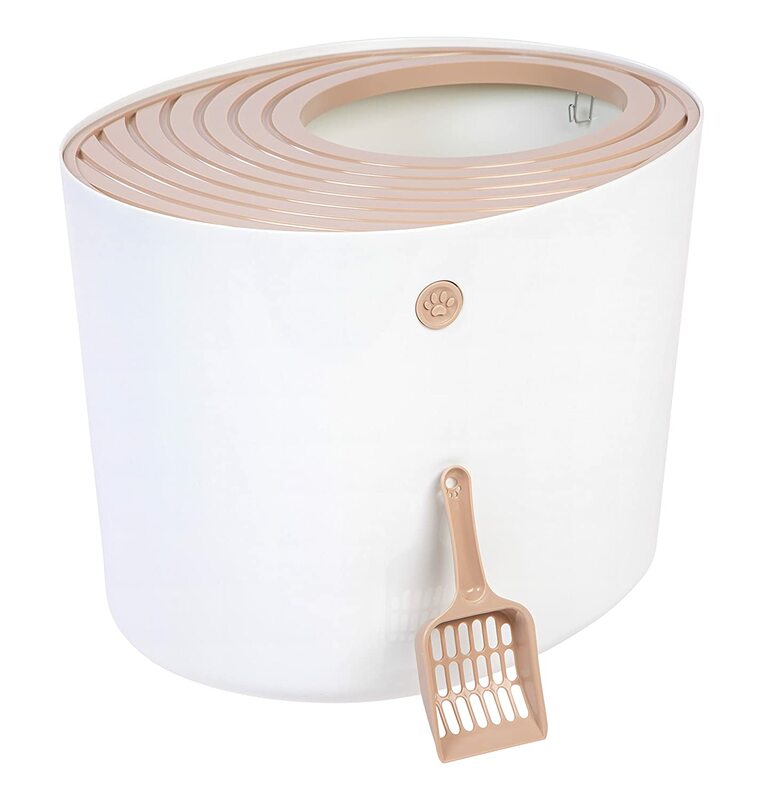 Tip: Many cat owners with top entry litter boxes say it’s helpful to put the opening on the top against a wall. 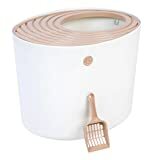 That way, when Kitty exits, she will have to step on the perforated lid instead of simply jumping out onto the floor. Privacy: While some cats don’t care who sees them do their business, some of them can be quite shy about it. So shy, in fact, that if they feel someone is watching (people and/or other pets) they tend to “hold it” instead of going to the bathroom when the urge hits, possibly leading to “accidents” somewhere else in the house. 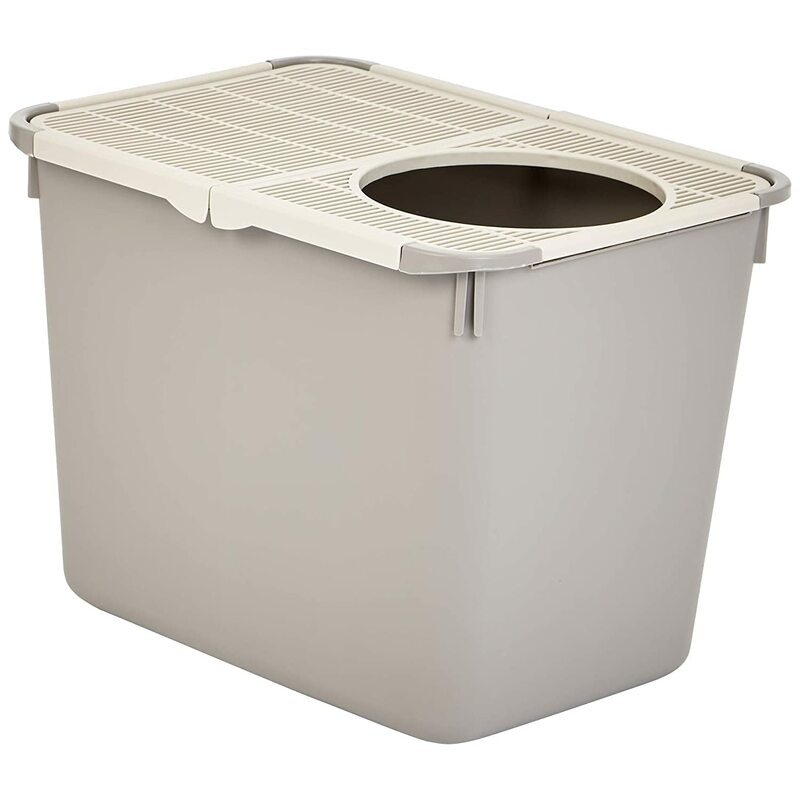 A top entry litter box provides them with the privacy they need. 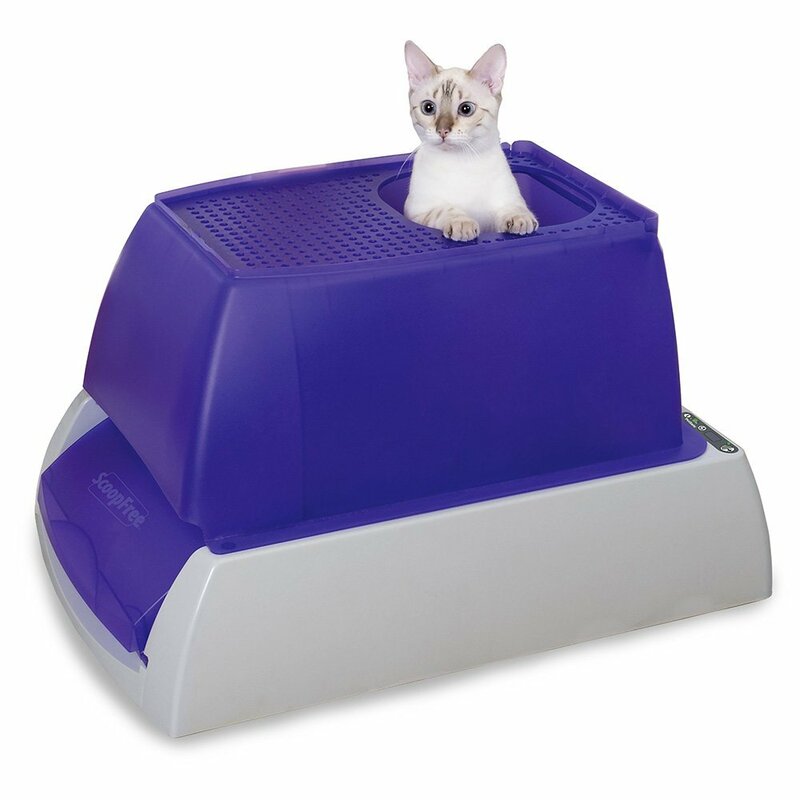 Less Interference: A top entry litter box allows your cat to do what they need to do without the prying eyes, noses, or paws poking them and annoying them while they use the litter box. 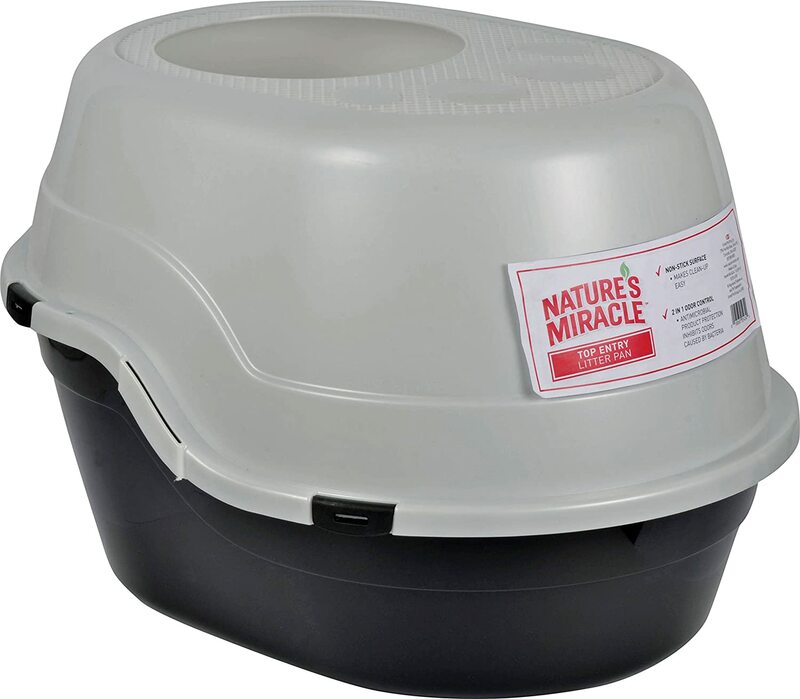 If you have other pets that love to annoy their buddy while he’s in the litter box, a top entry box just might solve the problem. It might even be helpful to keep small children from bothering kitty when she least desires it. 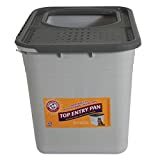 No More Dog, Um, Snacking: If you have a dog in the house that likes to eat what that cat leaves behind in the litter box, a top entry box can make that harder to do, and might possibly solve the issue all together. 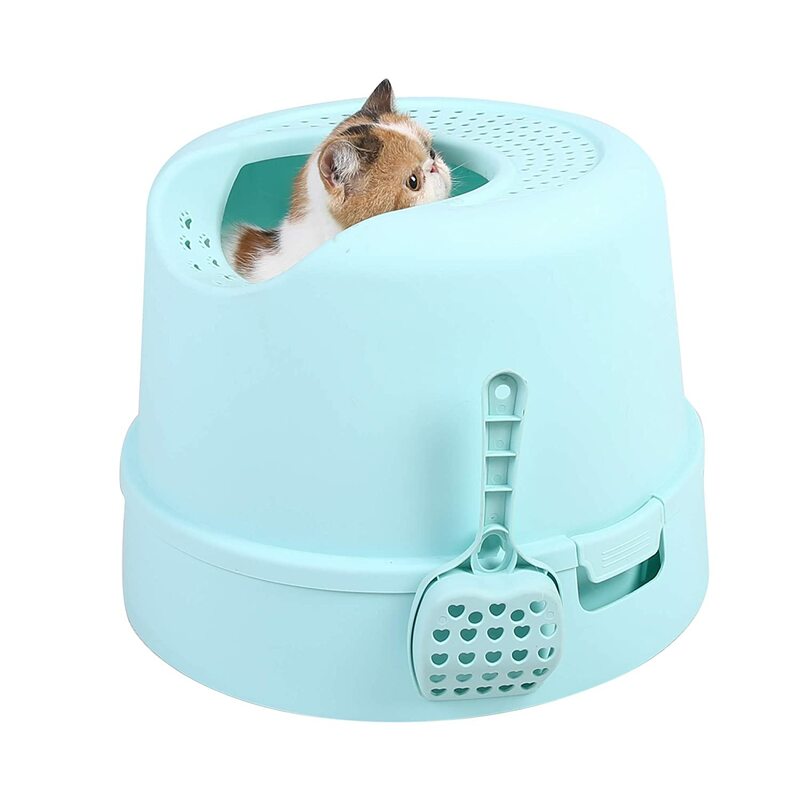 A top entry litter box isn’t for every cat, though. Some of them might not like it, and older cats or cats with infirmities may not be able to enter or exit easily.